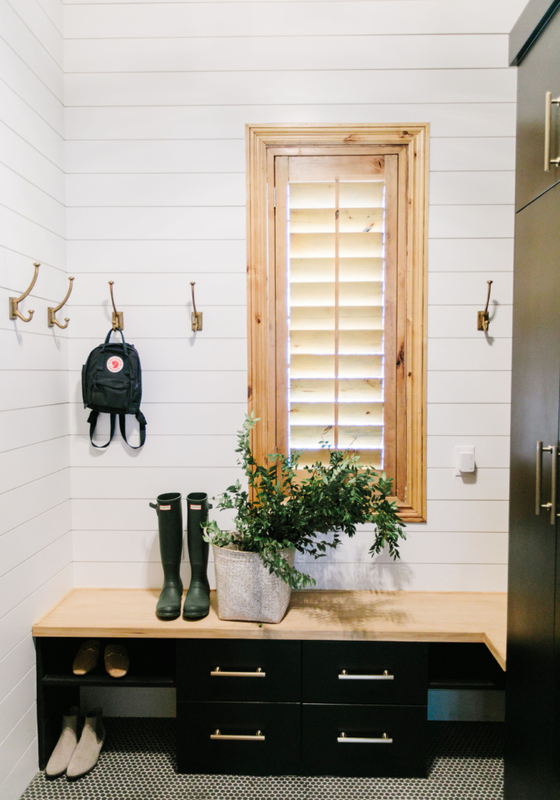 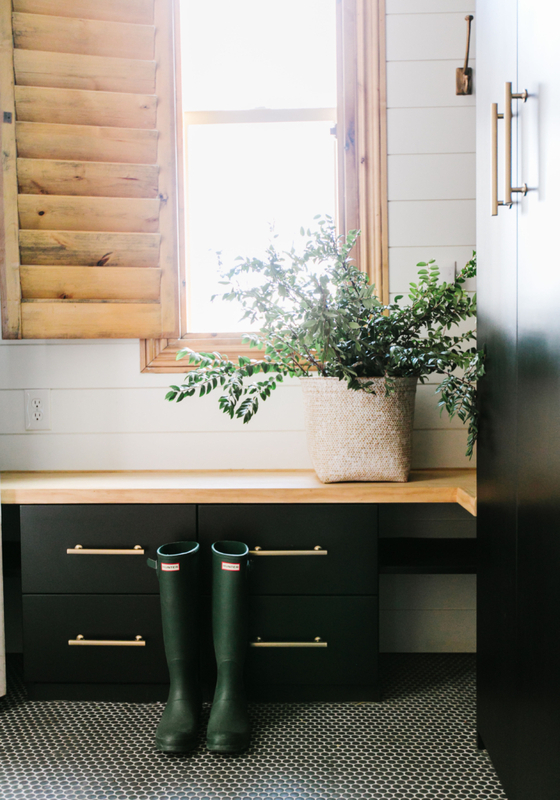 This mudroom is small so I wanted to pack a big punch with all of the finishes. 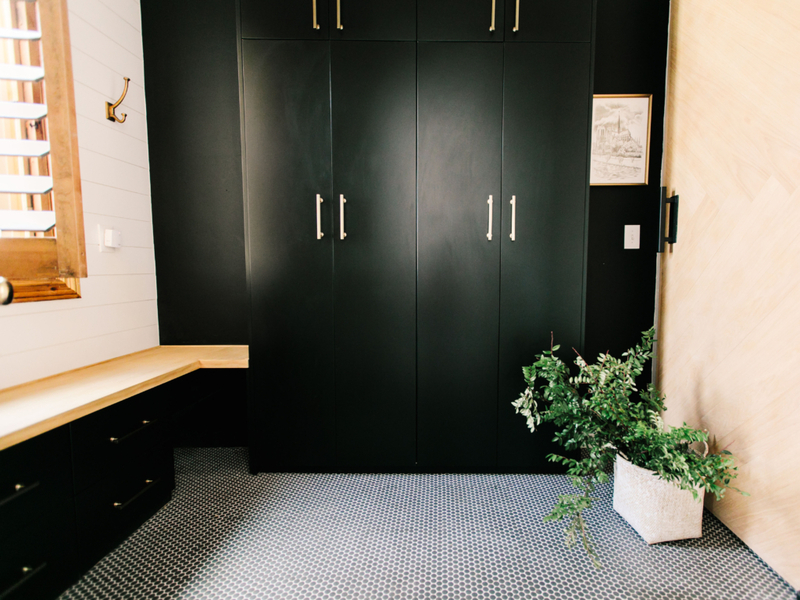 Charcoal gray penny tiles on the floor, black cabinets and wall, herringbone barn door and gold accents seemed like the perfect solution. 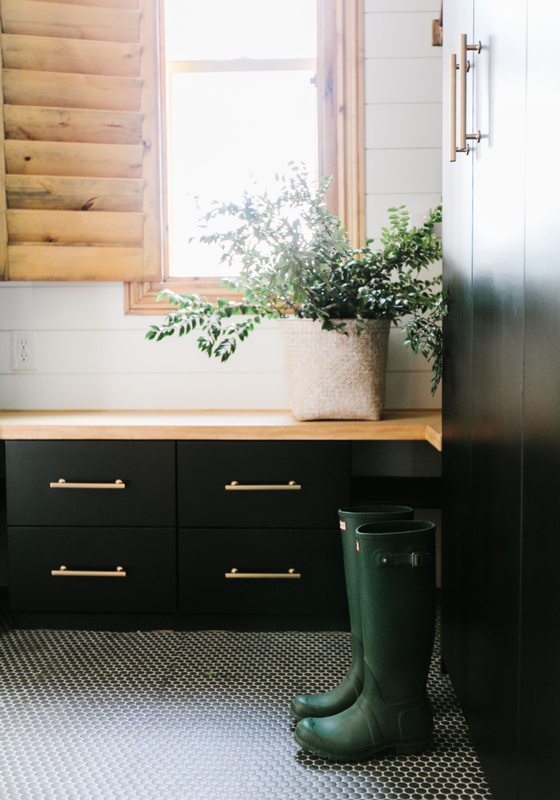 Drawers for hidden storage and open shelving for items they wanted easy access to works great for all of their mudroom needs. 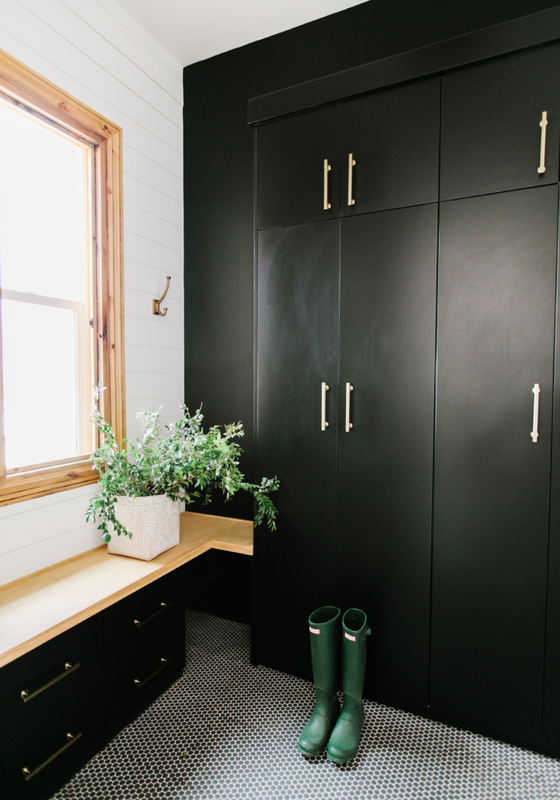 A wall with closets for extra storage, a wall mounted vacuum and cleaning supplies keeps them hidden but easily accessible. 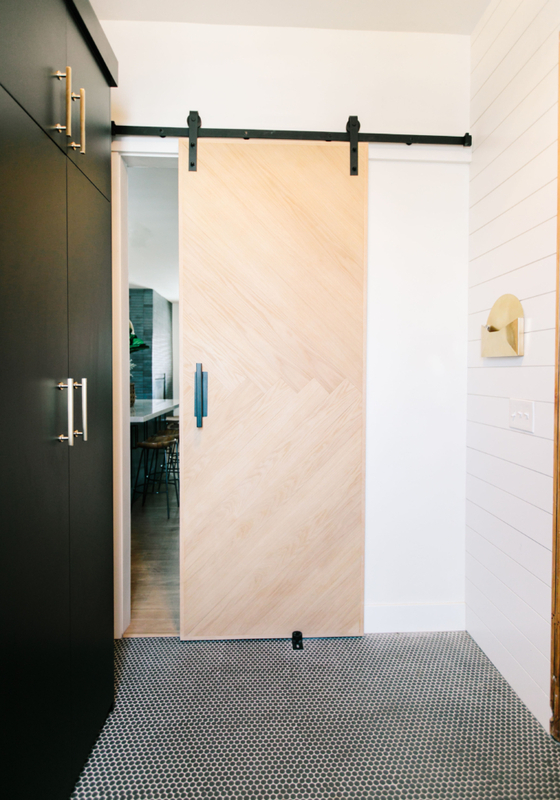 Shiplap is the perfect backdrop for these gold hooks and finish off the room with a pretty detail.